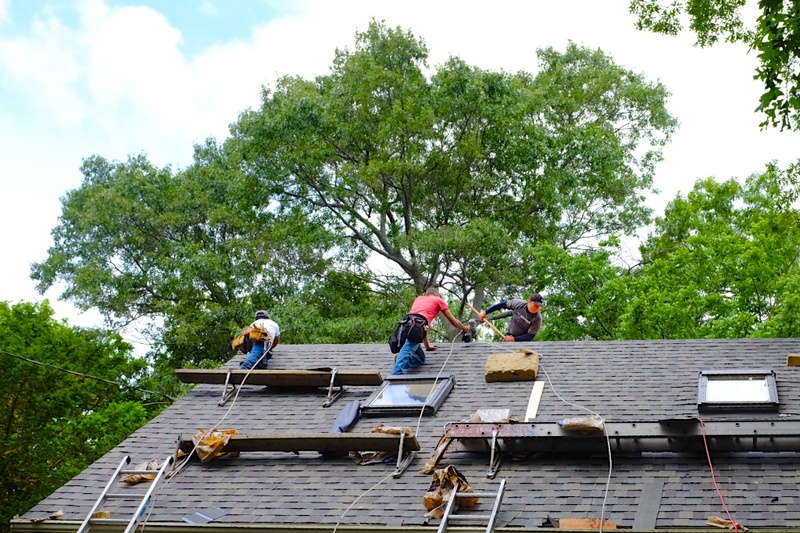 This was a hardworking bunch of six roofers in four trucks, who descended on our house very early on a Saturday. After a busy day of climbing, covering, pulling, scraping, hauling, balancing, brushing, taping, nailing, sliding, edging, sawing, more nailing, venting, cleaning, more cleaning, much more cleaning, vacuuming, they were done. We are ready for more snow-geddon this winter.